The first in a series of posts about Obama’s legacy. This is the first in a series of essays on the Obama presidency and its long-term consequences on the United States. President Obama entered mainstream politics by reviving the rhetoric of class warfare. The community organizer-turned-President promised everyone that the key to prosperity was for “the rich to pay their fair share.” His initial policy was to raise taxes on everyone who made at least $250,000 a year or more in order to fund more entitlement spending. He equated “millionaires and billionaires” with “lottery winners” further cementing the well-known sentiments in his “you didn’t build that” speech. Rather memorably, Obama opined that wealth is largely a matter of happenstance that we as individuals have little control over. In his 2008 victory speech, I sat in a Cornell dining hall and listened to Obama tell throngs of cheering Democrats that the United States has “never been a mere collection of individuals” and that we prosper to the extent that each person “resolves to pitch in and work harder and look after not only ourselves, but each other.” Now I look forward as an adult in New York City to his departure from the White House. It is not difficult to make the case that Obama is a believer in collectivism, but the exact nature of his economic philosophy is not total socialism. Recall that socialism occurs when the government is the sole owner of the means of production and is responsible for allocating goods and services to the general public. Nazi Germany, Soviet Russia, Maoist China, Castro’s Cuba, and numerous other Soviet satellite states are historical examples of socialism in practice. President Obama, like his predecessor George W. Bush, believes in the mixed economy. A mixed economy is capitalist in its basic structure but with significant government intervention on behalf of various pressure-groups within society. Another term for a mixed economy is a “hampered free market” economy, because people are free to own property and engage in trade but on a far more limited basis than that of a laissez-faire capitalist society. Even in a pure capitalist society it is proper for the government to limit the free actions of its citizens in order to protect individual rights; capitalism is not anarchy. In a mixed economy, the state will exceed this legitimate function and act with expediency to do “good” according to some non-objective standard, often at the behest of the ruling class or some politically powerful democratic majority. The narrative favored by mixed economy advocates to justify such intrusion is that government is needed to restrain the excesses of the free market. The economist most responsible for formulating the principles of the mixed economy in the 20th century is John Maynard Keynes, whose work was the inspiration for Franklin Roosevelt’s “New Deal” policies in the 1930’s. Keynes argued that the private sector, left to its own devices, was bound to fail without occasional intervention by the public sector. In particular, the government is obligated to “invest” in infrastructure to stimulate growth.. There should be a central bank, said Keynes, to control interest rates and strictly regulate the money supply. Keynes even advocated deficit spending in the short term to fund large projects if the money was not forthcoming in the present, remarking that “in the long run, we’re all dead.” This is the economic theory that the Obama administration adopted and sought to implement during its tenure. What are the results? The United States has experienced economic stagnation under Obama, with growth rates less then 3% per year. The percentage of American households with at least one person receiving government benefits has reached an unprecedented 52%, up from 44% in 2008. There is at present a shocking 97,000 pages of federal regulations after Obama’s rule, up from the 79,000 pages that we had under George W Bush. Though these regulations no doubt vary widely in their objectives, the result is a complicated hodgepodge that makes it difficult for upstart firms to compete with more established players. In order to survive in the business world companies cannot afford to ignore lobbyists. Now some might ask: shouldn’t Obama get a pass on the bad economy since he inherited Bush’s mess? It is true that the economy was in a tight spot at the end of the Bush years thanks to the subprime mortgage crisis of 2008 (which, by the way, was caused by the government and not the free market). All this proves, though, is that George Bush was not a champion of the free market. It does not exonerate Obama, who pursued policies in line with what Bush started and took them much further. Despite the lack of results, there is a cost. The stimulus and the later attempt to nationalize the health care industry have resulted in a dramatic increase in the national debt. Under Obama, the debt increased from $10.6 trillion to nearly $19 trillion. Even more alarming is that in 2008 the debt was approximately 65% of the GDP of the US, meaning that it was approximately 2/3 of what the United States produces as a country in a given year. Today, the national debt is 104.5% of GDP if you include external debt! The conclusion that we can draw from this figure is that the US economy is heavily over-leveraged, a fact that is ironic considering Obama and his followers criticized the banks for the same sort of risky behavior when the financial crisis of 2008 hit. Supporters of the president will sometimes make the claim that Ronald Reagan had a higher percentage change than Obama in the national debt, but this is dishonest rhetoric. When Reagan took office, the total debt was about $1 trillion and by the time he left the debt stood at $2.1 trillion. Overall Reagan added a total of $1.1 trillion to the debt, compared to Obama’s nearly $9 trillion. Even if we adjust the Reagan number to 2016 dollars with the CPI, this leaves you with close to $3 trillion, which is still 1/3 of what Obama inflicted. Economists have also pointed out that aside from the existing national debt, the US suffers from over $127 trillion in unfunded liabilities. Americans also experienced the so-called Debt Ceiling Crisis of 2011 under Barack Obama. Congressional Republicans, keen to slow down the administration as much as possible in its expansive spending, refused to raise the amount of money that the government could borrow. The result was a political standoff that did little stop the Obama administration’s spending. The “compromise” that ensued promised future tax cuts in exchange for an increase in the national debt by the largest amount in a single day in US history. S&P even went so far as to downgrade the United States credit rating from AAA to AA+. The truth is that stimulus spending by the government is nothing more than a short term palliative and is not a viable long term solution. Government is funded by tax money that is collected by citizens who participate in the market economy to produce goods and services; it has no money of its own. The fiat money that we use in trade today has only nominal value so long as it can be traded for real goods and services that have actual value to consumers on the market. If the government increases the amount of fiat money in society without a corresponding increase in the number of goods, the result is inflation. Inflation occurs when the purchasing power of money decreases, often due to an increase in the money supply. Inflation functions as an indirect means of taxation, since it devalues the existing savings that existed prior to the money creation. If printing money fails to fix the issue, the government can kick the can down the road with Keynes’ preferred deficit spending alternative. What about employment, that old Keynesian bellwether? Supporters of the president claim that he “created” 11.3 million jobs throughout his entire administration and continue to evoke favorable comparisons with Ronald Reagan. There are several things to keep in mind with regards to these misleading statements. To begin, the comparison to Reagan is specious since the overall labor participation soared under Reagan while the opposite has occurred under Obama. Indeed, there has been an 18% uptick in the number of people who have stopped looking for jobs since Obama took office in 2009. As it turns out, the unemployment statistics only account for people who are actively looking for work; those who choose to remain unemployed are not counted in these statistics. Further, statistics on job creation do not focus at all on job quality and treat full-time jobs with paid benefits as the equivalent of part-time jobs. One could arrive at 100% employment by having half the population dig ditches and the other half fill them; in the meantime, little to no economic value is created. These quibbles notwithstanding, there is a more fundamental reason to reject the positive picture painted by the Obama administration with regards to jobs. The fact is that the president, like any government organization, simply cannot create jobs. The reason for this is that government does not produce wealth, it merely redistributes existing wealth that is generated by the private sector by force in the form of taxation. Capitalists create jobs when they defer their consumption to invest in a business and serve a market need. Customers patronize the business and the proceeds are used to pay individuals that wish to sell their services without having to take on the risk of the investment. Job creation is one of the many improper functions taken up by government in a mixed economy. Obama, like many leftists, does not understand that it is private savings and investment on the part of capitalists that expands the economy. When entrepreneurs invest in capital goods, the result is lower good prices and a subsequent increase in the purchasing power of money. The tragic but instructive Obama legacy on economics is a case study in outright Keynesian stagnation. Nazi Germany undoubtedly had a collectivist ideology and its economy was highly regulated, however I disagree with your assessment for it to be a full-blown socialist economy to be named along with the Soviet Union or Cuba. German economy was not state run at that time. If you’re looking for a truly state-run socialist economy in Germany, see East Germany from 1946 to 1989. You are correct that the Bolshevik and Nazi governments were different, but the fact is that they were both examples of socialism. Under the Nazis, private property was nominal, and property owners had to use their property in the achievement of whatever mission the government had set forward. At the end of the day, the government was the true property owner in Nazi Germany, not the private citizens. 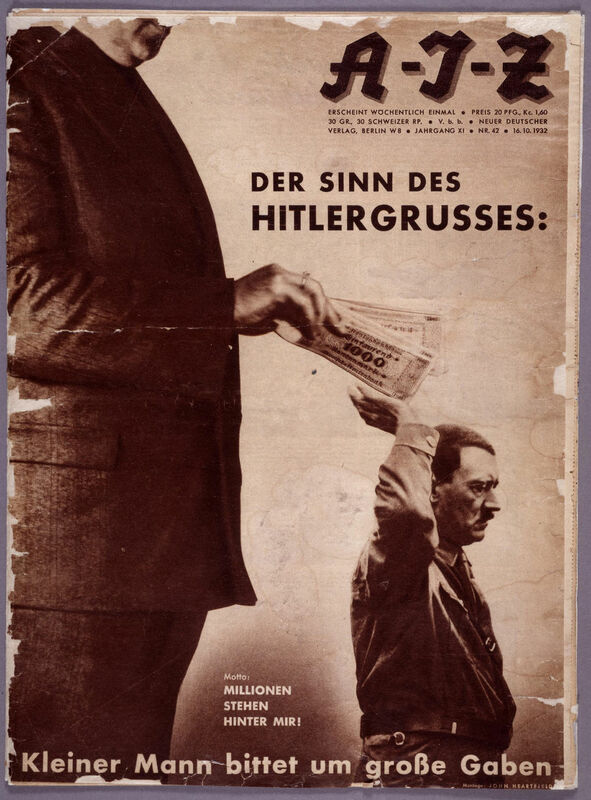 There were also extensive wage and price controls under the Nazis, they were by no means capitalists. Interesting post. You bring forward some interesting points, however, I do think some of your arguments are flawed. For example, when you cite the Forbes article which stated that entitlements increased from 2008 to 2014, the article largely focused on individuals signing up for Obamacare. I read that and was kind of like well, duh, we started a new program and more people are signing up for it. I also feel that Obamacare can support the entrepreneurial spirit. A significant number of entrepreneurs and freelancers use it. Please see this additional Forbes article (https://www.entrepreneur.com/article/287088). Obamacare expanded choice for people to pursue their career dreams without being tied to their job. (Certainly, there are other options for health insurance, but this is a good option for this population). I’m not sure what the regulations article tells us aside from the fact that Obama created way more regulations. There’s no qualitative information as to what impact these regulations had. I don’t think it’s wise to categorize all regulations as good or bad. It says it impacts small business, but in a good way? bad way? neutral way? I’m also not sure about your argument that the government contributed to the housing crisis. This is timely for me because I just re-watched The Big Short yesterday. I read the article you cited and to me, I feel like that advocates for better government policy for housing regulations, not less. My understanding is that the housing crisis happened in part due to banks having lax standards on who they could give mortgages to as well as misleading customers with bonds of mixed quality. I imagine in a world where banks had free reign to lend to whoever they wanted without government intervention, wouldn’t we ultimately see a crash that is way worse than what we saw in 2008? Wouldn’t banks have an incentive to loan to anyone with a pulse? Banks benefit when people default on their loans, so why wouldn’t they want that? Furthermore, the article you cite is based on a book from the American Enterprise Institute, which is a more conservatively-leaning institution. I”d like to have a longer conversation on the impacts of the Dodd-Frank act. I largely think that it benefits the consumer (us), but I am no expert on the policy. I actually agree with you that employment rates are not a complete picture. It’s hard to draw strong conclusions from an employment rate alone. My jury is out on this. However, I do think the government can create government jobs. My job is a government job, the government created, I applied and New Jersey taxpayers support my livelihood. Boom. Job created. If you mean does government policy create jobs in the private sector? Yea, I don’t know. I”d have to do some more digging. Thanks for the thoughtful reply Jes! Apologies for the delay, I wanted to ensure that I addressed all of your many points in the most concise way possible, and there are many of them. This is a bit lengthy, but I guess it’s warranted since yours was lengthy, haha. I’ll start with a bit more explanation as to how both Obamacare and the 2008 Housing Crisis are typical of a mixed economy. Consider first that Obamacare is only “necessary” because of government interventions in the free market. The reason that private companies in the US provide health care to their employees in the first place is due to a government policy enacted after World War II. Companies that offered their employees health insurance received tax benefits from the federal government, changing the incentives for private industry to allocate more money into health care. The market for health care was further distorted when Ronald Reagan signed a bill in the 1980s that mandated emergency medical care be provided, regardless of whether the patient could pay or not. The housing crisis was caused by government programs to incentivize home ownership among the general population. Banks were prohibited (not merely discouraged) from discriminating in who they gave out mortgages to, particularly when it came to the question of whether people could repay them. Many critics that claim “deregulation” caused the crash fail to appreciate that the regulations that were removed had enabled this state of affairs to occur in the first place. Banks only become “too big to fail” when government regulations place them beyond the competitive pressure of the market. Consider also that both the financial sector and health care are two of the most regulated industries in the country, so their failure is not representative of the free market. The government prevents innovation in the insurance industry by mandating that everyone have the same coverage. By mandating that everyone receive emergency medical care, the government creates a moral hazard that results in people not taking care of themselves. There are also the various licensing laws that restrict the supply of doctors and require that everything from simple scrapes to brain surgery be treated by someone with a medical degree, something that insulates the industry from competition. At the time of the crash, there were no fewer than 5 government organizations responsible for monitoring financial activity. The leverage ratios and reserves for these banks were approved by the state, without a peep. Barney Frank and others described Bears Stearns as “solid” in the months preceding the crisis and that organization was among the first to go under. Both Fannie Mae and Freddie Mac, two organizations at the epicenter of the crisis, were pseudo-private entities heavily controlled by the government. In both cases, the argument is: people need it, so it is the responsibility of the government to provide it. In both cases, the question that is not considered is: at whose expense? The economic principle that operates in the mixed economy is that “regulations beget regulations.” When the government intervenes to pass a law or regulation designed to incentivize particular behavior in the market, there are often unintended consequences. These consequences are then used to justify further government action to add regulations or expand the scope of the existing ones. What you get is a tangled web of entitlements, each strengthening the others until you hit critical mass. Proponents of the mixed economy generally do not think in terms of principles, but are entirely driven by pragmatism and the belief that they can implement whatever policy “works” without ever really clarifying what “works” even means. On Monday, what “works” might be incentivizing health care from employers, while on Friday what “works” might be bailing out the banks at the taxpayers’ expense. For the pragmatist, there is no objective truth, no objective reality. The mixed economy appeals to “technocrats” who believe that if they only pull the correct lever, the market will “behave” as they see fit. The problem is that such tinkering undermines freedom. Government uses the threat of force to achieve its goals; it wields political power. Companies and individuals in the free market wield economic power, which is the ability to buy, sell, invest, create and liquidate. To say that government action to offer incentives is on a par with a decision by an entrepreneur to create a business or a consumer to patronize said business is to conflate these two. Now, let’s move on to your point about entrepreneurs. According to the dictionary, an entrepreneur is someone who “organizes and operates a business or businesses, taking on greater than normal financial risks in order to do so.” To be an entrepreneur means you are willing to either defer consumption (save) or take on loans in order to create capital goods. Juxtapose that with the premise of the article you mentioned: it is using the word to refer to people who are gaining “free” health care from the government in order to avoid having to buy it themselves on the free market; this is NOT entrepreneurship. Insofar as a person is receiving health care from the government as an entitlement they are acting as parasites on the productive capacity of American taxpayers and actual entrepreneurs. The essence of entrepreneurship is individual achievement and creation. A program that subsidizes dependence on the government does not foster “the entrepreneurial spirit,” it fosters dependence. The companies that are subsidizing these “freelancers” were founded by actual freelancers who successfully deferred consumption and achieved success in the market. A few further notes. I selected the article on regulations to demonstrate just how expansive the Leviathan state in the US has become. Large numbers of regulations undermine small business creation, since even understanding them often requires an attorney. On the topic of sources, I think that even parties with a particular political axe to grind can do good work. Ultimately, we need to be critical thinkers and examine the work on its merits; to state that something is less credible because it is put out by a conservative think tank is an argument from authority. On the topic of governments creating jobs, keep in mind that government is not a creative enterprise. The business of government is to remove physical force from society and protect your rights. To this end, it collects taxes from people who produce value to fund its activities. It is the taxpayers, not the government, that produce goods and services used to enrich lives. You can tell a job produces value when people fund it voluntarily, without having to draw a gun. Simple answer: No: He promised in his campaign to fix things, and by doing so, he assumed responsibility for “Bush’s mess”, yet he failed to follow through on his promise. Previous Previous post: Make Debating Great Again! Next Next post: Is It The Duty Of The Government To Educate Its Citizens?